Cholinergic Urticaria is a serious disease in which hives are brought on by a physical stimulus resulting in the rise of temperature. Basically, this means I get horrible, painful, itchy, red bumps on any part of my skin that has become warm. Physical exertion of any kind produces a urticaria (hive) response. Exercising of course brings this on. Also, stepping outside, in Florida, in warm temperatures causes me to break out. Even something as simple as stirring ingredients while baking will cause my hand to turn red and itchy instantly. Any type of vigorous physical movement, or staying outside in warm temperatures for more than five minutes results in an episode of urticaria (hives) for me. When I was first diagnosed in spring of 2013, I was under the impression that my perspiration was the cause of these allergic reactions. But through the years I have learned a lot more about my condition, than any research on this disease has ever produced. 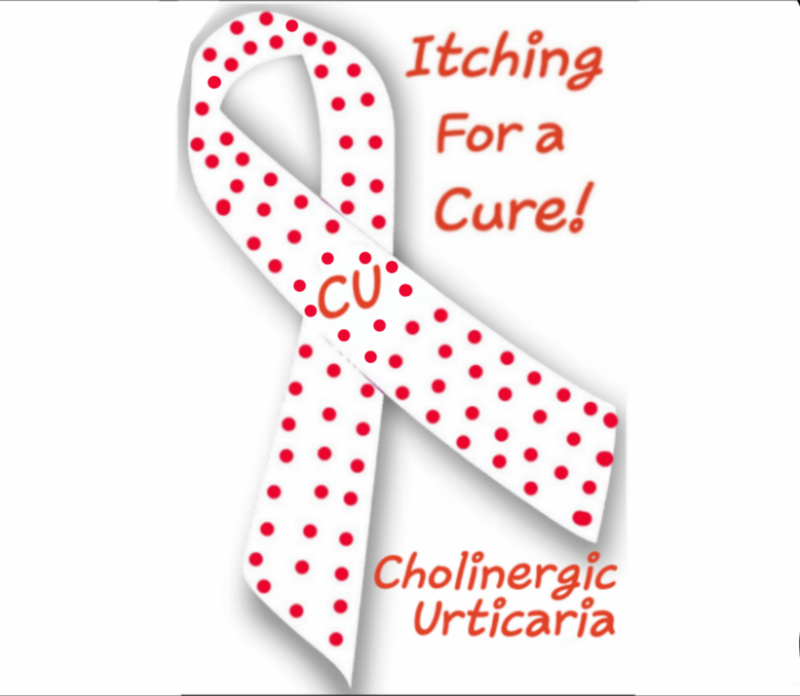 Since it is so rare, there is very little information regarding Cholinergic Urticaria, and unfortunately no known cure or medication to prevent these daily attacks that prevent me from doing just about everything. Currently it is unknown as to what causes Cholinergic Urticaria. Since CU is a very rare skin condition, very little is known about it. One common theory is that CU can be brought on suddenly by severe emotional distress, or a tragic event caused in a person's life. Once diagnosed, it is unable to determine how long a patient will have this condition. Some patients claim to have overcome CU after only one or two years. Some patients claim they continue to suffer from CU after three or more years. Either way, it is a life changing diagnosis. Those with CU break out in itchy hives in a matter of minutes whenever and wherever their body temperature has risen due to physical exertion or climate. CU sufferers can also have these hives brought on from their tears, which can lead to severe swelling around the eyes. Individual hives can last anywhere from 30 or 60 minutes, to up to 2 or 3 days. Although, these certain itchy patches of skin will eventually go away, new ones can already be forming in other areas around the body. So, in severe cases of CU, the painful itching of these break-outs never really "goes away." Because hives are present at least somewhere on the body at all times. These break-outs can occur anywhere on the body, including the palms of your hands and the soles of your feet. These itchy patches caused by CU go by many names such as hives, welts, wheels, bumps, dots, etc. And they come in all shapes and sizes. There are a lot of different ways these CU break-outs can appear on the skin. Everybody is different and experiences their own unique skin irritations as a result of CU. Individuals with CU can experience a wide range of different looking hives. Even though a person who suffers from CU can experience hundreds of thousands of break-outs, they will never experience the same hive pattern, in the same place, with the same amount, twice in their life. No individual break-outs are ever the same looking, but each group of break-outs can be classified as looking a certain way on the skin. There are so many different forms, even though clearly recognized, we do not have names for every type of formation. But they can be described and seen in pictures. They are almost always red. They can be either raised or flat. They can look like any of the following: thousands of tiny pin point red dots, red 'pencil-eraser-sized' polka-dots, straight lines that look like scratches when you have not scratched that area, raised patches of blotchy skin that looks like cauliflower, tiny perfect circles, all red skin with no bumps at all that resembles sunburn, skin that looks like it has suffered severe burns, patches of circular red bumps that merge together to engulf an entire section of a limb or other body part, scaley 'alligator' looking skin, one single hive (usually on a finger or toe) with none other present at the time, huge welts, and more. They can also resemble bug bites, but the difference is, (besides the occasional "single hive" mentioned before, that usually only occurs on a finger or toe,) CU always comes in a large amount. And it happens everytime you sweat, wherever you are sweating. It is very easy to determine whether or not an individual suffers from CU. After only a few minutes of exercising, your skin will break out. And for those who have severe cases of CU, they are able to break out just by standing outside in the heat for less than two minutes. Anything that provokes sweating. Even simple household tasks like vacuuming or doing laundry. Unfortunately, CU is a life altering, and sometimes debilitating condition. "Just getting out of bed everyday" isn't just hard, it is impossible sometimes. 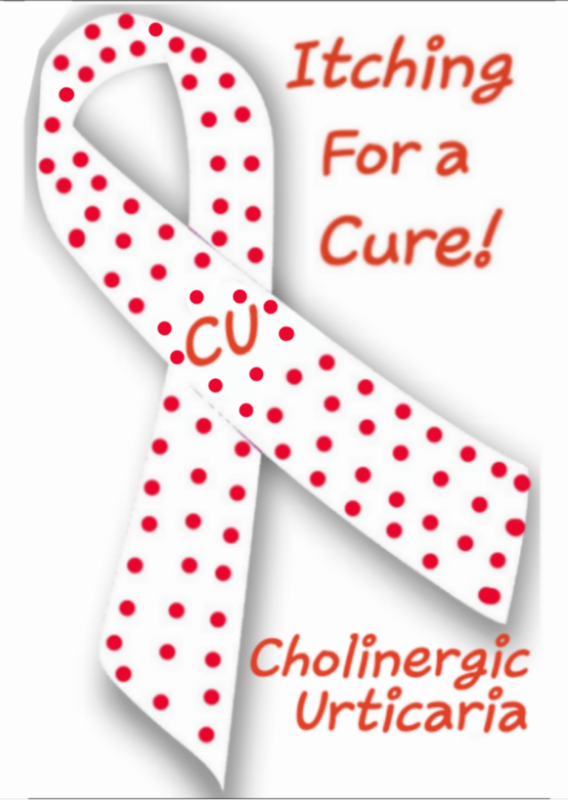 If you suffer from CU, you are most likely unable to live a normal life. It confines many of it's sufferers to their homes with very limited physical activity. This usually results in the cause of other health problems, such as depression, weight gain from being unable to exercise, sleep loss from the itching, irritability, inability to perform everyday tasks, lowering of cardio endurance, blood clots, kidney stones, all over pain due to long periods of immobility, anxiety and other nuerological disorders, and in severe cases may even result in the need of a care taker.